St Teresa’s Breakfast club runs from Monday to Friday from 8:00 am until 8.45 am, at a cost of £1.20 per day. Children must arrive before 8.30am to receive their breakfast. The children are provided with a healthy breakfast of toast and cereal and a cooked breakfast every Friday morning. 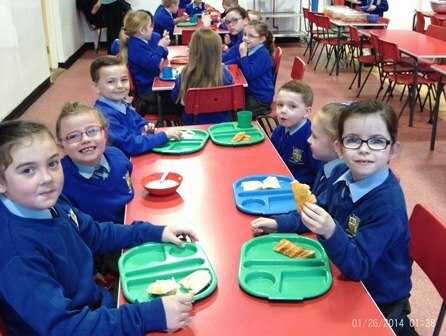 Children who attend Breakfast club are supervised by Mrs T Kennedy, Mrs M Delaney and Ms A Austin.